It's running off a 30kV flyback power supply. Incidentally, I stuck a meter in the circuit and found that around 3mA of current was flowing. 3mA @ 30kV = 90W; not bad for a flyback. 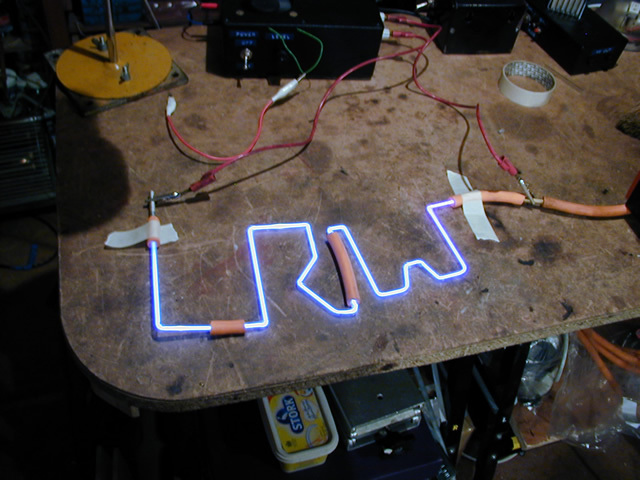 30/11/10: Obviously, the tube will not actually have 30kV across when it's lit, so this figure is wrong.